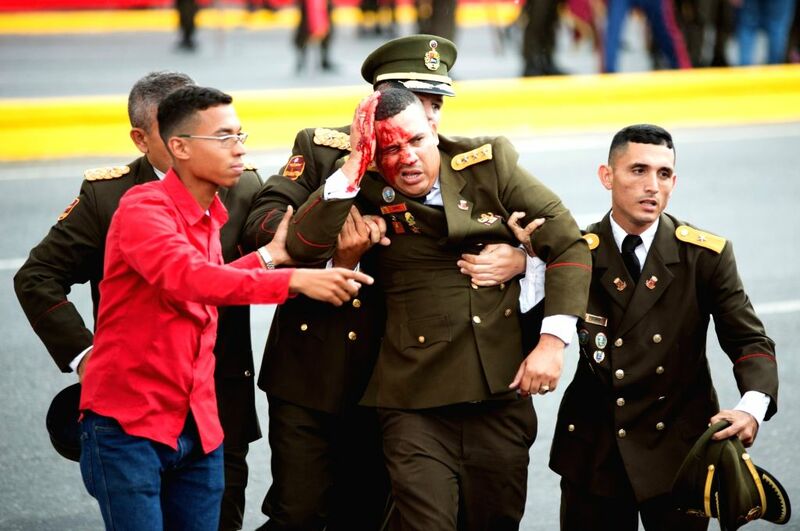 CARACAS, Aug. 4, 2018 - A security member bleeds after Venezuelan President Nicolas Maduro's speech was interrupted in Caracas, Venezuela, on Aug. 4, 2018. Venezuela's Minister of Communication Jorge Rodriguez confirmed on Saturday night an attempted attack against President Nicolas Maduro. 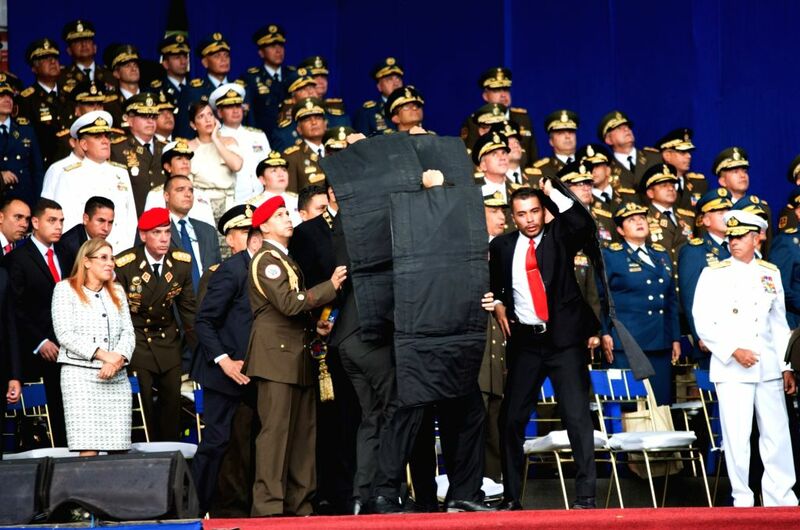 The attack happened during a speech by Maduro commemorating the 81st anniversary of the country's National Guard.Venezuela's Minister of Communication Jorge Rodriguez confirmed on Saturday night an attempted attack against President Nicolas Maduro. 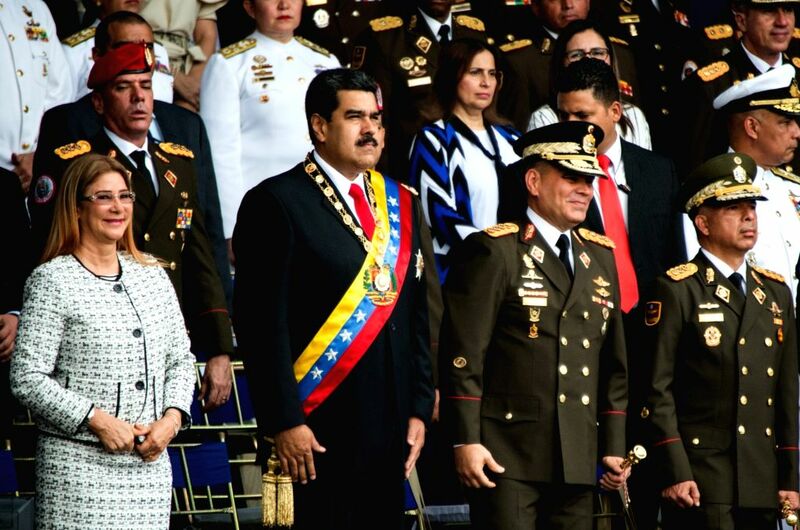 Venezuelan President Nicolas Maduro (2nd L) attends the commemoration of the 81st anniversary of the National Guard in Caracas Aug. 4, 2018.